Posted On March 25, 2016 by Team iCynosure. It’s said that marriages are made in heaven. We meet the right person after a lot of searching and when we meet the perfect one it’s impossible to live apart then. Then suddenly, you come to know that you have got your Mr. Right or Mrs. Right. After some interesting meetings, you end up preparing for that most important day of your life. And now, when you look back at all those days – how do you feel? Of course even in crowd you get a smile on your face remembering those old days. So, what have you thought to present him/her on that wedding anniversary day? Cakes complete any occasion, so you can order a lavish wedding anniversary cake for that big day. Your spouse would be surprised beyond limits. You can go for various designer cakes, two or three tier cakes, or simple cakes available at the local store. But anniversary is a special moment and therefore you can spoil him/her with lots of love and pamper with the best gifts. Let’s see how you can use these lovely cakes and make a lovely gift for that day. Get anniversary cakes online for the big celebration on that day when lots of guests are going to pour in to bless both of you. A lovely two tier cake would be a perfect one for the moment. Husbands can at least make a cup of tea / coffee to start her day followed by a nice breakfast.You can easily get tips on cooking by visiting YouTube. You can make this day an interesting one by ordering small cupcakes. Order sufficient number of cupcakes which would aid you in making a big heart at the dining table. Just put a long stemmed red rose in the middle to add more love to your day. Wives can send wedding anniversary cakes to their busy husband who is at office on this day. He would love your attitude for sure. You can bake your own cake as per your husband’s choice and write a love note with cream. Get customized cakes for a celebration by adding a picture of both of you on the cake. Marriage is a lovely journey and life of both the men and women change with it. Just like any other thing, it also brings some challenges. But it’s the togetherness that ameliorates all obstacles. 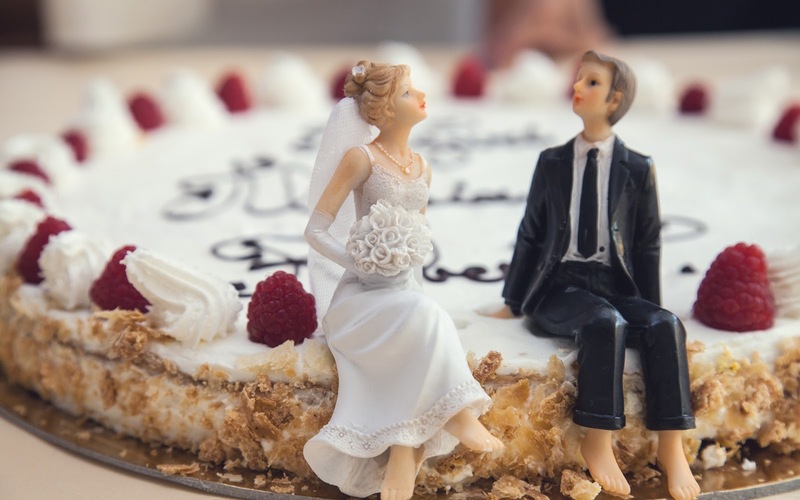 The marriage anniversary that you are going to celebrate may be a one year old or a five years or a twenty five years, but you must be having some nice bank of sweet, sour, and naughty memories which holds both of you. Remember one thing that life wouldn’t have been an interesting tale to tell without your better half. So, give all your time and celebrate a grand party with him/her. About Author: Reena writes and creates beautiful scenarios where readers slips into her thoughts easily. She finds the world boring, hence she builds her own fantasy land through her writings.